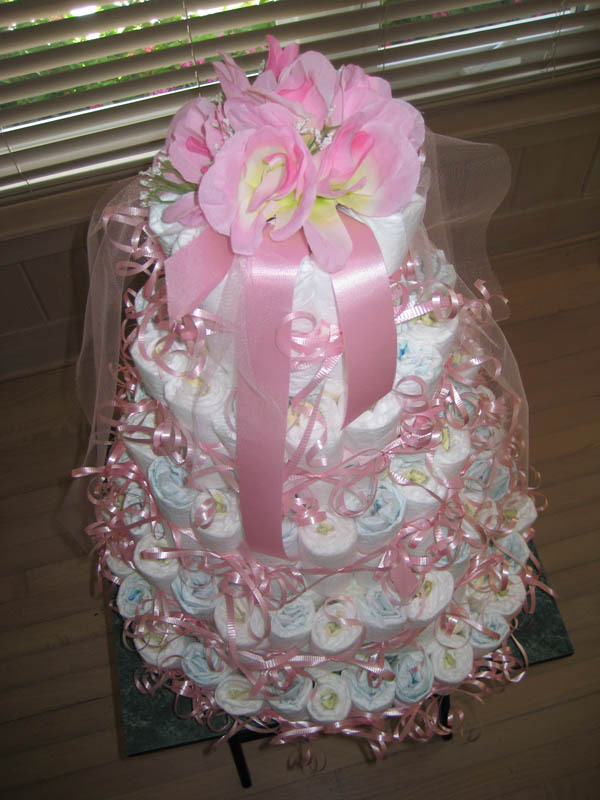 Lovely Five Tier Diaper Cake - You really should take a look at this beauty! 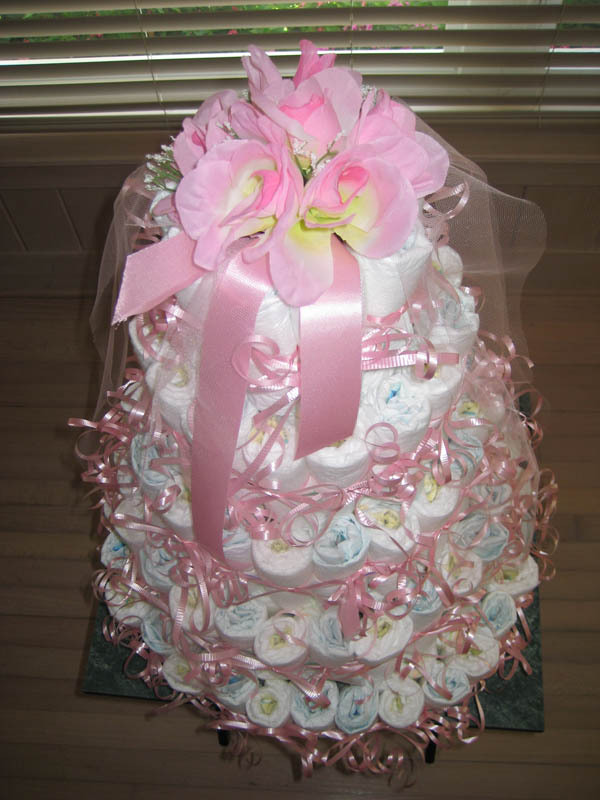 One look at this gorgeous five tier diaper cake and you will have some fantastic inspiration for your own diaper cake. 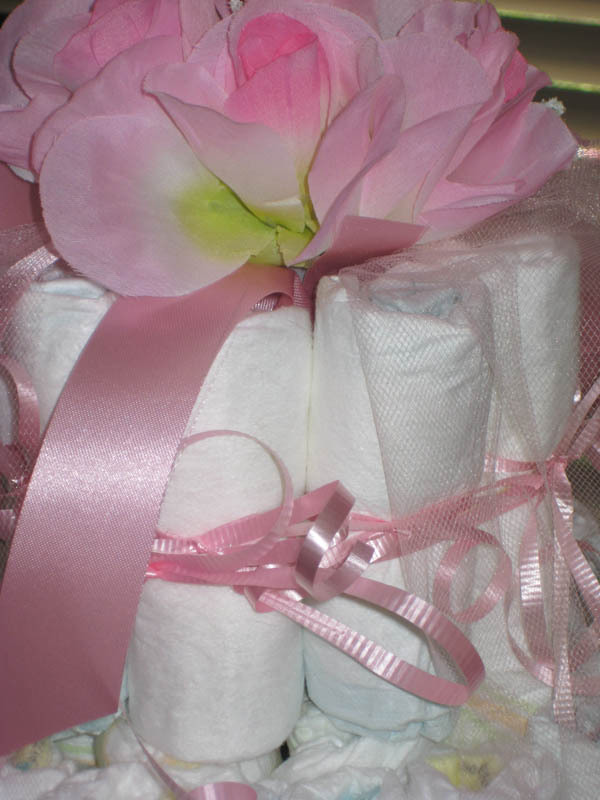 Each elegant tier is loaded with pink bows individually tied to each diaper. A classy floral arrangement tops it all off. What a beauty! This cake was submitted by another of our fabulous readers, Mary. 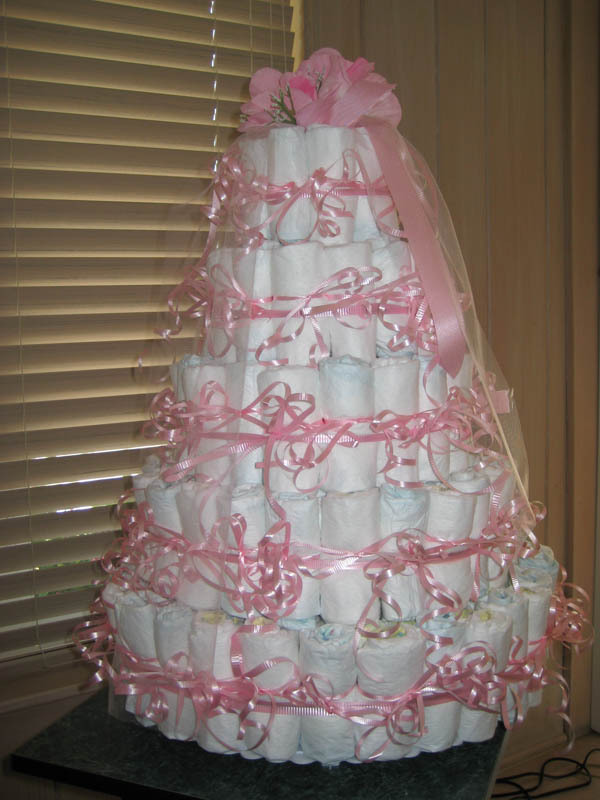 She is "paying it forward" with her diaper cake pictures, her creativity and her beautiful ideas. 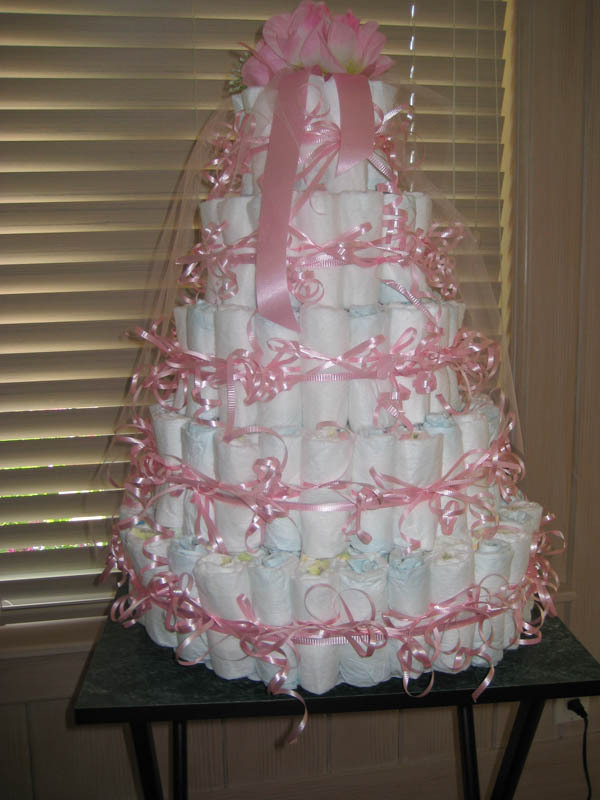 We have the best group of readers & submitters on the web which make this website the best place to come for diaper cake inspiration! Thanks so much Mary! Your cake is so pretty! I am a VERY successful career woman who retired to do the laundry etc. that I didn't do during my career years. I am having a GREAT time discovering that I have Betty Crocker talent!! Thanks Mary!! You definitely have some Betty Crocker skills with Diaper Cakes! So Cute!